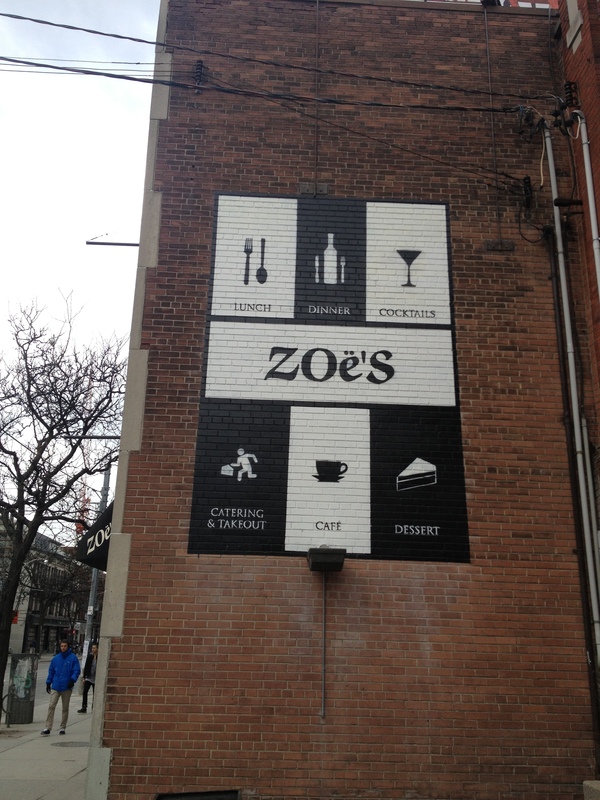 I have been passing by Zoe’s at least once a month for over a year now, and today I came here for the cupcakes, and to my dismay they are only on the menu based on availability, hmmm. I wasn’t going to waste a visit so I found another dessert to enjoy. There wasn’t much selection at all considering “bakery” is in the name of the business. I had two options a jam square type thing and a tart. 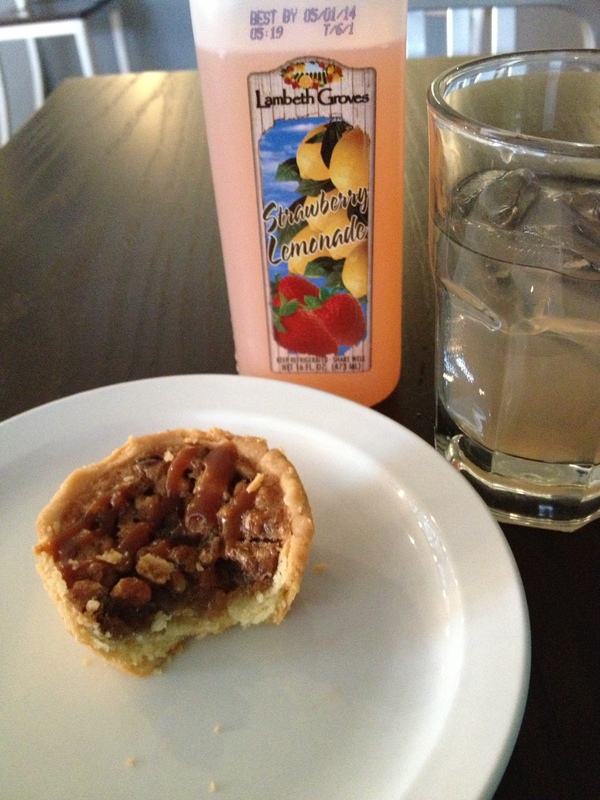 I choose the maple walnut tart and strawberry lemonade. This tart was not too sweet, and it was chewy, crumbly and had buttery crust. The walnuts were crunchy and well balanced within the tart. I could eat more than one and not feel that I had too many sweets or get a tooth ache. This was a pricy tart though and with the drink it came to $6.30. This would be a once and awhile thing, even though it was delicious.